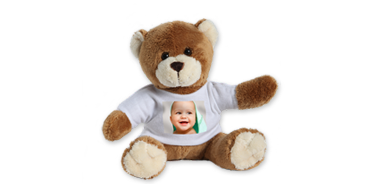 Because cuddling is twice as nice: This teddy is not only incredibly sweet, but has your favourite photo on his t-shirt! 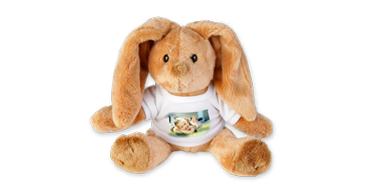 This plush bunny is a guaranteed hit not only at Easter: Your personal photo on his little t-shirt makes it a perfect gift. 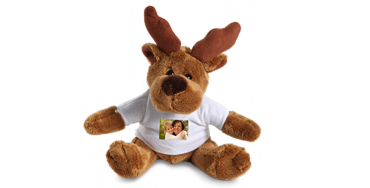 The ideal gift, and not just for children: The cuddly moose with your favourite photo on his T-shirt! 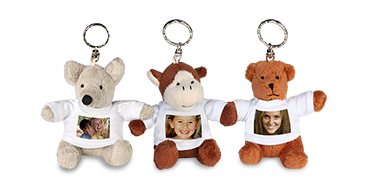 Whether it’s a mouse, bear, monkey or a dog: With these cute little key fobs, you’ll never lose your keys again. You'll always have a good hand at poker! 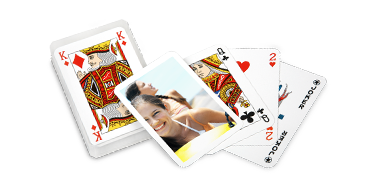 Perfect for poker, rummy or canasta: a personalised set of playing cards with your chosen photo on the back! 25 designs of your choice: Whether vacation photos, family photos or snapshots. Also, as a gift of absolute hit! Within minutes you can create your own puzzle! 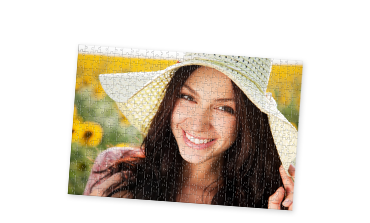 Extra special fun with jigsaws! 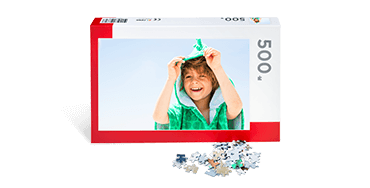 Create in minutes their own personal jigsaw puzzle with 500 pieces. Comes with your photo on the lid. 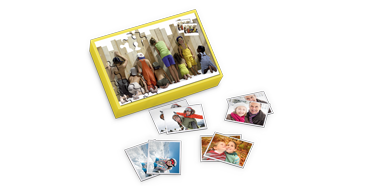 Our biggest photo puzzle fun! 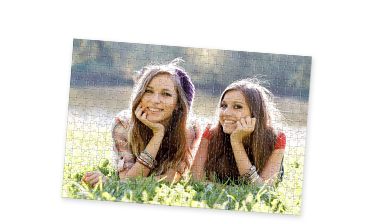 Extra special fun with jigsaws! 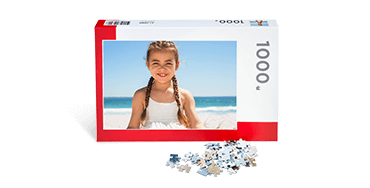 Create in minutes their own personal jigsaw puzzle with 1000 pieces. Comes with your photo on the lid.